The worst of the winter weather may be behind us, but the direct impact of the seasons’ rainfall, snow and mud will now be on full display as we head towards the springtime. No doubt, entranceways and high traffic areas will show the typical signs and tracks of mud and debris at their very worst if your cleaning and maintenance regime hasn’t been able to cope. No office manager can really fully prepare for what the colder months might bring however, by implementing some tried and tested common sense approaches, you should be able to make your cleaning regime a little easier and maintain the life of your floors a little longer. Whether in the city or a rural setting, every office will suffer from the elements making their way indoors on the soles of shoes. Doorway matting makes complete sense as it acts as a way to prevent all that dirt, mud and grime from entering into the main parts of the building and keeps it isolated to just the entrances. Placing at least 2 metres of matting on every entranceway can help to remove up to 40% of soil, whilst 4 meters will remove up to 80%. Go big and install 10-12 metres and you’ll potentially remove 99% of dirt and debris according to international cleaning industry body ISSA. Without doubt floors get dirtier during winter so schedules become even more important. By sanitising floors with high pressure deep cleaning and appropriate chemicals, you’ll help to remove any build up of dirt and improve the frictional static co-efficiency of the floors, making them less slippery to walk on. During the colder seasons, your cleaning regime should pay closer attention to the floors at greater intervals. You may find that your janitor or cleaning contractors will need to clean and vacuum floors more than once per day to ensure dirt, debris and accumulated dust and spills do not cause the floors to become heavily soiled or slippery. 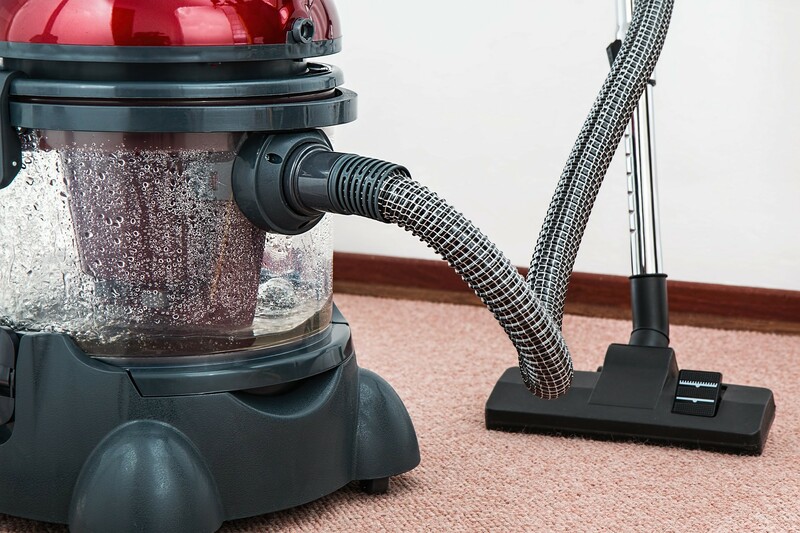 Having a good quality vacuum cleaner or mop with inbuilt cleaning fluid reservoir on hand to tackle spills and dragged in dirt will help you stay on top of things. When floors appear more dirty, it’s very easy to get carried away with overusing cleaning chemicals and using a higher concentration of chemicals to dilution. In some cases, the completely wrong chemicals for the job might be applied. This is never a good idea. Increased levels of cleaning chemicals is bad for health and can also cause more harm than good to floors. Too much chemicals may leave a sticky residue which will actually attract dirt and debris. In some cases, the floors may remain slippery for longer periods and become hazardous. So always stick to the recommended levels of dilution, no matter how tempted you are to increase the dose, even when your floors look dirty and unsightly. Running a business is tough enough without having to be concerned with managing a cleaning and maintenance regime. No matter how much you think you might save, dedicating hours of your busy schedule to ensuring floors and entranceways are clear of dirt and debris is a job you could do without. A professional daily office cleaning company will take the strain and ensure your offices look pristine, leaving you to do more important things like running your business and taking care of operations. Winter brings greater challenges to maintaining a clean commercial floor with high traffic areas showing typical signs of mud tracks at their worst. Follow our good practices guide to help you maintain and prolong your office flooring.